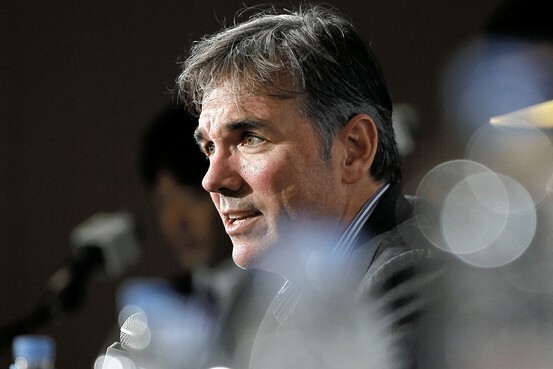 By now you know a fair bit about Billy Beane, the general manager of the Oakland Athletics. He’s been the subject of a book, he’s been played by Brad Pitt, he’s won some plaudits here and there for squeezing wins out of a perennially broke baseball team (even if it hasn’t seen a World Series on his watch). This year, the iconoclastic Beane, a man to whom much strategic brilliance has been ascribed, has built yet another scrappy contender full of relative nobodies like Tommy Milone and Josh Reddick. Alert the statistical sycophants! Start casting the Hollywood sequel! But there’s something unusual about the way Beane went about assembling this particular team of underdogs. Their success isn’t the result of any grand design. It was an accident. The A’s were supposed to be rebuilding. Last winter, Beane traded three All-Star pitchers for a slew of unproven prospects, all but conceding the 2012 season. The hope was that these younger players would make the Athletics relevant again within a few years—around the time they hoped to move into a new stadium in nearby San Jose. But after a series of failed one-year plans, it is Beane’s long-term rebuilding plan that has Oakland on the verge of the postseason for the first time since 2006. The A’s entered play Friday with a record of 88-68, in the lead for the second American League wild-card spot. As team officials are quick to stress, the A’s weren’t trying to lose this year. Their February acquisition of Cuban defector Yoenis Cespedes, who signed for four years and $36 million, is evidence of that much. “We did not plan to be a disaster,” owner Lew Wolff said. Associated Press Oakland general manager Billy Beane. But it is clear what their priority was last winter, and it wasn’t competing for a playoff spot in 2012. In a three-week span in December, Beane traded ace Gio Gonzalez to the Washington Nationals, sent closer Andrew Bailey to the Boston Red Sox and dealt pitcher Trevor Cahill to the Arizona Diamondbacks. The A’s were building for the future, which made sense, given how bleak things appeared in the present. Consider Oakland’s competition in the American League West. The Texas Rangers, two-time defending AL champions, spent more than $111 million last winter to sign Japanese pitcher Yu Darvish. The Los Angeles Angels went on a $325 million free-agent binge, signing Albert Pujols and pitcher C.J. Wilson. “That was pretty intimidating to us,” Wolff said. According to Wolff, the A’s turned a profit of around $1 million last year. They would have lost money were it not for the additional shared television revenue that came as a result of the World Series going seven games. Their hope of climbing out of the industry’s poor house lies in leaving the not-wildly-lucrative Oakland Coliseum for a new ballpark. If everything had gone to plan, the prospects they’d acquired would have formed the nucleus of the San Jose A’s.